JL Fields is the founder and culinary director of the Colorado Springs Vegan Cooking Academy. 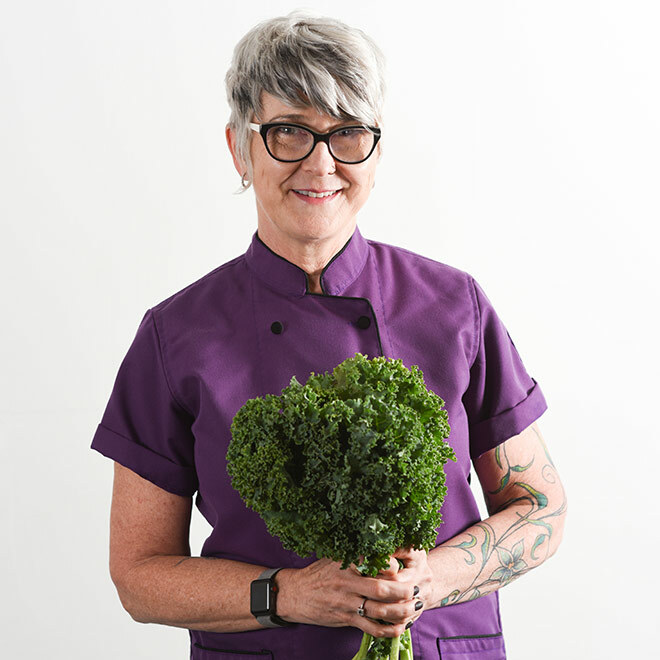 She is a Master Vegan Lifestyle Coach & Educator, Food for Life instructor, chef instructor in the culinary program at the University of New Mexico-Taos, personal chef, career coach, and a corporate consultant offering wellness training, brand representation, and strategic planning services. JL is the author of the revised and updated Vegan Pressure Cooking: More Than 100 Delicious Grain, Bean, and One-Pot Meals Using a Traditional or Electric Pressure Cooker or Instant Pot® (Fair Winds Press, January 2018) and The Vegan Air Fryer: The Healthier Way to Enjoy Deep-Fried Flavors (Vegan Heritage Press, June 2017) and co-author of The Main Street Vegan Academy Cookbook: Over 100 Plant-Sourced Recipes Plus Practical Tips for the Healthiest, Most Compassionate You (Ben Bella, December 2017) and Vegan for Her: The Woman’s Guide to Being Healthy and Fit on a Plant-Based Diet (Da Capo Lifelong Books, July 2013). She is the co-creator of The Real World Vegan Meal Plan, producer and host of the cooking show Real World Vegan Cooking and the radio program Easy Vegan, and writes the monthly vegan dining review for the Colorado Springs Gazette.